The health and safety consequences of long workhours have received growing attention during the last 10 years. Two recent reviews (1, 2) show that overtime and extended workdays are associated with cardiovascular disease, self-rated health problems, and fatigue. In addition, results from the third European survey on work conditions shows that long workhours (more than 45 hours of work per week) is associated with insomnia, stress, headache, and various pain symptoms (3). There have been fewer studies investigating accidents and work-related injuries in relation to long workhours. Hänecke et al (4) observed an exponentially increasing accident risk beyond the 9th hour at work. A similar increase was observed when Swedish occupational injuries were analyzed according to hours at work (5). However, a methodological problem with these studies is the difficulty to establish exposure models. It has been virtually impossible to obtain representative data about how long people work and at what times of the day. Thus the link between accident data and workhour exposure may be somewhat uncertain in previous studies. As a consequence, it has not been possible to estimate workhours in relation to accident risks for specific occupations, although accident data can often be obtained on such a level. The paper by Dong (6) in this issue of the Scandinavian Journal of Work, Environment & Health is one of the first studies to present detailed information for both workhour history and injury data collected within the same data set. Another unique advantage with the study is that the sample is nationally representative. The most interesting result is presented in figure 3, which shows the relation between length of workday and injury risk among production occupations in industry. The graph shows that injury risk starts to increase when the workshift exceeds 8 hours. Thus the odds ratio starts to approach 2 when workhours are longer than 12 hours. For really long shifts—over 16 hours—the odds ratio is approximately 3.5. A multiple logistic regression analysis showed that weekly workhours above 50 hours had an odds ratio of 1.98 (95% confidence interval 1.88–2.05), when gender, age, and other workhour variables were statistically controlled. Unfortunately, the data set did not include any information on when on the shift the injury occurred. However, a best guess may be that the increase in injuries for long workshifts occurred towards the later parts of the workday. Thus the studies by Dong (6), Hänecke et al (4), and others suggest that long workhours should be regarded as a serious accident-contributing factor. The most likely mechanism would be that long workhours cause elevated levels of fatigue that impair performance. However, there are some alternative hypotheses that need to be considered. It is well known that long workhours are associated with increased work demands and stress (3, 7).  Thus some of the association between length of workshift and occupational accidents may be related to stress, workload, or other work conditions. A high workload would result in increased fatigue towards the end of the shift, but may also result in increased risk taking and unsafe work practices. However, the study by Åkerstedt and his colleagues (7) also showed that overtime is associated with higher decision latitude and greater possibilities to influence the work situation, at least in white-collar occupations. The higher influence means that it may be easier to take breaks when needed and that the decision to do overtime work is, to some extent, voluntary. This alternative may buffer against negative effects of overtime. Another important factor can be the break pattern during the workday. A recent study by Tucker et al (8) has shown that the break pattern has a big impact on accident trends across the workday and that regular breaks seems to prevent accidents in industrial settings. Since overtime is often related to high workload, a relation between insufficient rest breaks and overtime is not unlikely. Thus lack of breaks may also account for some of the relation between long workhours and injuries. Long workhours and overtime is often associated with reduced time for recovery and difficulties to unwind after work (9). In particular, the combination of severe work stress, long workhours, and high amounts of unpaid work at home is likely to cause lack of recovery and sleep loss. Lundberg and his co-workers (10) have shown that parents of small children, and women in general, seem to have around 80 hours of weekly total workhours, including both paid and unpaid work. A working hypothesis could then be that the negative effects of long workhours and overtime are mediated by a lack of rest and relaxation, too little sleep, or disturbed sleep. To summarize, it is a target for future studies to identify why long workhours and overtime lead to accidents and injuries and, in particular, increase our understanding of whether the relation is modified by stress and workload, other work conditions, break patterns, and insufficient time for recovery. Nevertheless, the findings of Dong’s study have many practical implications. First of all, many recent studies show that overtime work and long workhours are very common in today’s worklife. The third European survey on work conditions shows that 17% of full-time employees work 45 hours or more a week (3). Similar data from the most recent Swedish work environment survey shows that 27% works overtime at least once every week, and the figures for certain occupations may be as high as 70% (11). It is also common that workers like to maximize the number of workhours per day in order to increase the number of days off. Thus many workers do not seem to view long workhours as being potentially harmful for their health and safety. Therefore, the public’s awareness of the risks associated with long workhours should probably be increased. Second, the results have implications for workhour regulation. The European Union directive on workhours (93/104) includes a maximum of 48 hours of work per week—but this amount is based on an average across several months. Therefore certain workweeks can be much longer. A workshift can be extended to 13 hours before the regulation concerning daily rest rules are violated. There is also the possibility for “opting out”, meaning that agreements between the social partners may circumvent the directive. As a consequence, much longer shifts than 13 hours, or workweeks longer than 48 hours, are possible without the regulation being violated. The results of Dong’s study suggest, at least for industrial occupations, that the European workhour directive is not a safe limit for work-related injuries. Considering her findings, as well as the results of other studies, the maximum shift duration should not exceed 12 hours and should probably be shorter for certain shifts (eg, night). The safe limit for a workweek is more difficult to estimate, but, according to Dong’s findings, 48 hours is likely to be associated with a considerable increase in injury risk. A best guess may be that the maximum workhours of the workweek should be reduced to 45 hours. Since the European directive on worktimes is under revision, I hope that the research that has been published in recent years, showing a clear link between long workhours, health problems and injuries, attracts serious attention—and that the new workhour legislation provides a basis for a safer workplace and improved public health.